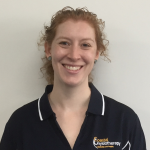 Georgie graduated from Latrobe University in Physiotherapy in 2007 and gained a Post Graduate Certificate in Exercise Science in 2015. She has worked in private practice in Airlie Beach and Launceston before returning to the North West Coast in 2017. Georgie has a special interest in clinical pilates and women’s health, in particular working with ante/post-natal clients.